Global warming is back on the spotlight this week, thanks to 2015 United Nations Climate Change Conference which has just wrapped up in Paris. This is a topic that strikes the chords of our collective hearts. We are ocean lovers, nature lovers; lovers of unspoiled wilderness and majestic wildlife. We are immensely proud to guide visitors to the heart of some of the world’s most magical places. From the freezing landscapes of Antarctica to the ethereal islands of the Galapagos: this is our home, and showing it off is our most fervent passion. But our ‘home’ is under threat, as are the incredible creatures which inhabit its waters and lands. And something’s got to give. Cristina Castro, a marine biologist who hails from Ecuador, has been studying humpback whales and their migratory habits for almost two whole decades. She, along with many other marine experts in South America, are expressing deep concerns about the migratory changes and – even more importantly – the state of well-being of the whales they are monitoring. Humpback whales make their migration from the freezing waters of Antarctica to the balmy surf of equatorial countries like Ecuador and Colombia every year to birth their calves. Global warming and a remarked increase in sea temperatures is having quite a few visible, negative consequences. First of all, warmer temps are confusing to whales, making them think it is time to migrate earlier than would normally be the case. Had you travelled to the Galapagos Islands in May this year, you would have been privy to a spectacle of migrating humpback whales. Normally, they wouldn’t reach the Ecuadorian waters until June or July. Secondly, the supply of krill on which they thrive on is also decreasing due to water temperature increases, creating a cause-and-effect situation that’s wreaking a silent but dangerous havoc on colonies the world over. Marine biologists like Castro are reporting discernible health issue on whales they research: they’re skinnier then they used to be, have evident skin infections and appear slow and lethargic. In search of more food they are now swimming further north, even all the way to Costa Rica, something which was normally never seen. One thing experts agree on is that Mother Nature does her job: if there isn’t enough food for whales and their young to consume, then mother-whales will simply stop reproducing. As a result, we’ll end up seeing fewer calves. The ones who survive will also have a much lower chance of survival. 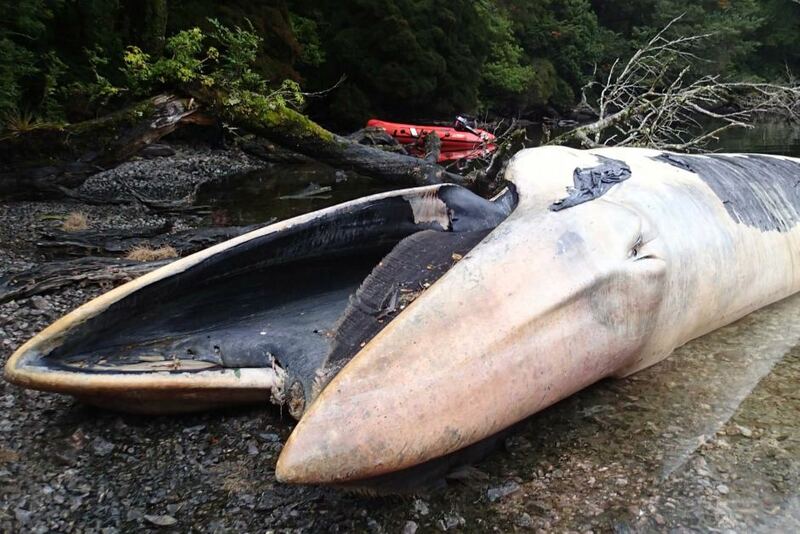 Back in April, reports of a massive die-off of whales, off Chilean Patagonian waters, shook the marine scientific world. More than 330 dead whales were counted, and National Geographic has funded a mission to determine the cause of death of these incredible creatures, on what was the biggest mass death of whales ever recorded. Blue whales seem to be in a particular danger, because – worldwide – their numbers seem to not be increasing at all. 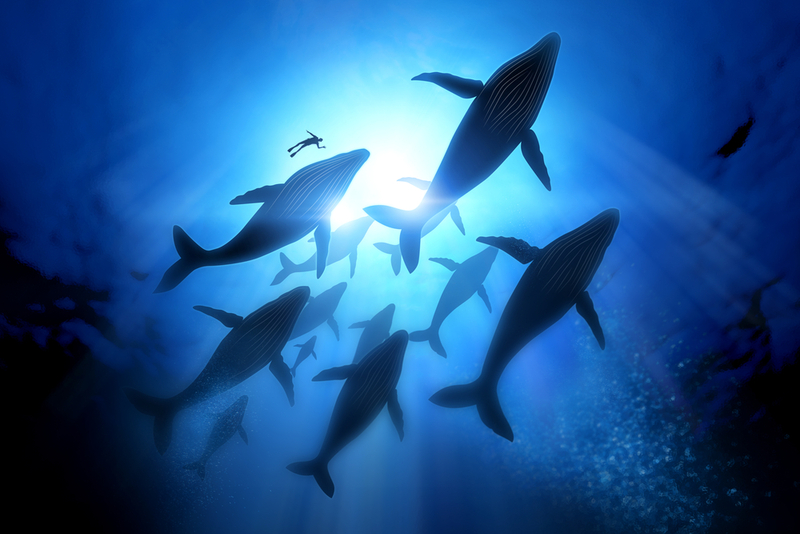 Whales are particularly essential to the well-being of our oceans. The amount of iron found in their faeces, for example, is essential for the healthy growth of a particular algae, which is in turn responsible for the delicate life balance in oceanic waters. If whales go, then everything goes. The negative impact of global warming – not only on whale migration, but on the planet as a whole – is finally being taken very seriously. Last week, over 150 heads of state got together to discuss the issue and possible solutions, in what was the largest world-leader meeting ever held. More than 190 nations signed up the new Paris agreement, as opposed to the 37 (mostly European) countries which declared adherence to the Kyoto Treaty in 1992. Kyoto was where good intentions translated into relatively inconsequential effects. Paris is where countries which matter most (in this case) are being pushed into a corner, the way they need to be. This is incredibly good news. Is there even more positivity? Sure there is! Adidas has just 3D-printed a pair of sneakers made out of ocean plastic! Who knows what inventions like these can lead to? Perhaps, in years to come, the largest corporations on the planet will elbow each other out of the way to collect ocean trash if it’s deemed to be profitable. We should surely be doing all we can irrespective of profitability, but realistically speaking, we know that profit talks – and finding a money-making solution that helps our planet will inevitably be a great incentive. 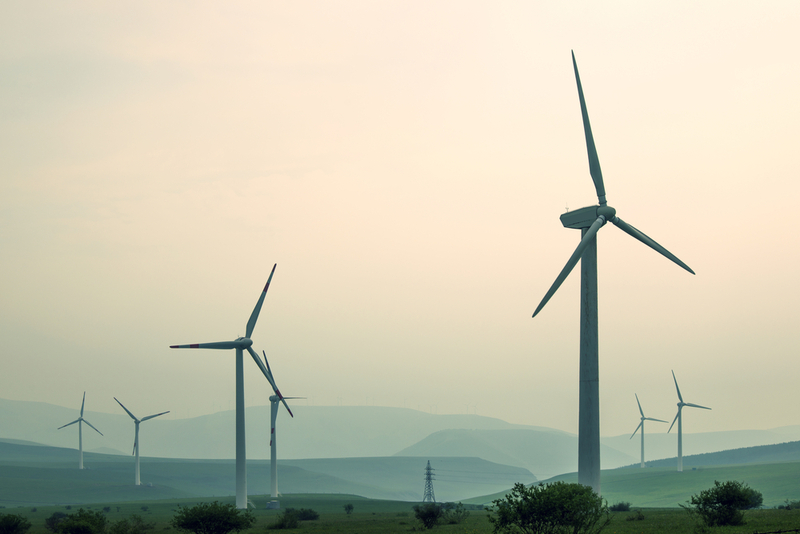 Moreover, companies have realized that by utilizing energy-efficient measures, they are slashing costs of their operations. Again, the big bucks is what will ensure companies continue to be more environmentally conscious. The great majority of the world’s countries have made firm commitments to decrease their carbon emissions. Together, they make up more than 90% of the global emission total. The two largest polluters on our planet by total volume – the USA and China – are taking unprecedented steps to decrease their yearly emissions. Considering both countries refused to sign on the dotted line in Kyoto, this is an amazing feat. Renewable energy is at the tip of every tongue, at the forefront of every news article and at the top of the list of priorities for many people and governments. Awareness leads to action and action, will lead us to change. In 1296, the building of the spectacular Florence Cathedral began, with architectural plans which included a self-supporting octagonal dome, the largest ever built in the world. The only glitch? The architect at the time, Arnolfo di Cambio, had absolutely no idea how the dome would be built. Yet because he had faith in humanity’s abilities, he was convinced that one day, as the cathedral’s construction came to a close, someone would come up with an ingenious plan to build it. And so it was, that 150 years later, Filippo Brunelleschi completed the design of the cathedral. The dome of the Florence Cathedral is still the largest brick-dome ever built and – as if by magic – uses no supporting beams to hold it in place. With a little faith in our future abilities, we can achieve great things in the face of climate change. The jury is still out on whether or not we can reverse the climate change damage we’ve made so far to our incredible planet, but if we can at least hold off on further damage, and decrease our yearly carbon emissions, who’s to say we can’t come up with a way to reverse it? Who’s to say we can’t build another ‘Florence Cathedral dome’ for our wonderful planet? Together, we can. But we need to take it up one notch and make better choices. When we travel the world, we need to opt for tour agencies who place environmental concerns ahead of profit, like Chimu Adventures who have developed an entire department and brand the M.A.D Project dedicated to giving back, and we must make sure we are all better tourists. If there are regulations set up by government bodies to protect their natural wonders, then we must adhere to them, for example IAATO in Antarctica, set up to advocate environmentally responsible travel to Antarctica, if you are to travel to this unspoiled frontier, make sure the ship you are travelling operates in accordance to their regulations. To help combat climate change, we must leave only our footprints and take only photos, observe from a respectful distance and never ever interfere with nature, except if it’s to undo the damage we’ve caused. 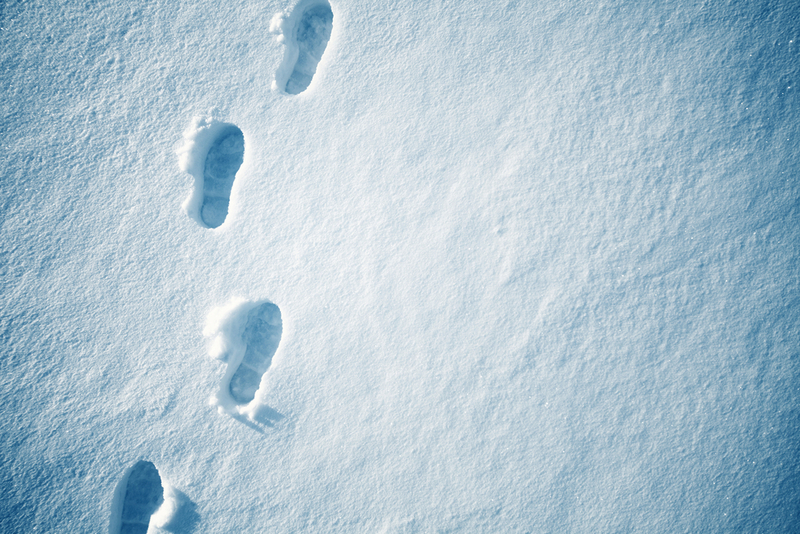 Leave only footprints when you travel. We need to pull together if we hope to bequeath our children a planet where they can still sail alongside humpback whales, kayak beside vertiginous icebergs and stand in awe atop a volcanic island brimming with spectacular wildlife. Because this planet is our home. And it’s the only one we have.